Now that we've compared the best domain hosts and their respective plans in full, let's review our findings in short. The following summary table features the crème de la crème in domain name hosting reviews. Remember to consider which providers offer free domains, how long the registration is yours, and how many unlimited resources (domains, email, storage, site traffic, etc.) are included in the packages. Best of luck! Looking for something other than domain hosting? Domain host shopping? Find serious host suggestions and not-so-serious domain examples below. We admit it: We’ve got more than a few domain hoarders collectors on the HostingAdvice team. When you’re given the opportunity to snag YourRoommatesName.com or let some office inside joke live in infamy on the web — how can you turn it down? What about when your pet’s name becomes available? Seriously, what’s a hosting geek to do? With support from the top hosts and domain name registrars, it’s too tempting. With our familiarity with domain registrations and hosting plans, we decided to compare notes on what the leading domain hosting services have in common. Make sure the following features are on your list as you determine who should host SirWhiskertons.com or DieselPup.net. The first step to signing up with any web host is securing the domain name at which you’ll be hosting your website. If you’re starting from scratch — whether you’re a first-time site owner or you’re launching your 23rd sure-to-be-successful project — you’ll need to register a new domain. If you already have your domain, you’ll need to migrate the contents hosted at that domain to your new host. You can trust the providers atop this page to make the transition seamless for you. 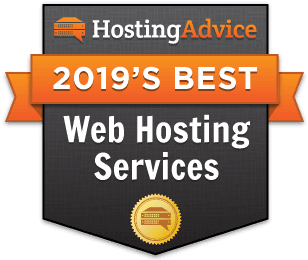 Industry-leading web hosting providers like iPage or Bluehost will throw in a free domain for your first year of service as they help you migrate to their servers. Hosts in this field are particularly savvy at what we colloquially call unlimited everything hosting — meaning, you can get unlimited domains, email accounts, MySQL databases, and storage included in the hosting price. Each host packages their seemingly unlimited offerings differently, though. Some may offer to host an unlimited number of domains on one account while others may promise one domain with unlimited email addresses at the domain. Some may draw the line at unlimited disk space while others may tack on a free gigabyte of cloud storage. All in all, iPage excels at unlimited hosting. Once you have a domain you’re proud of and you’ve customized a site design to match your vision, you need people to actually see your vision come to fruition. A website is only as good as the number of visitors it attracts, after all. That’s why free marketing credits offered by some hosts are appealing. You can use those paid advertising incentives to help your domain crawl up the chain of results delivered by prominent search engines. Many of the top domain web hosts do this. For example, Bluehost and iPage will offer $100 or more toward search engine marketing with Google, Yahoo!, or Bing. Wait, you’re not sure how to build the website of your dreams with the domain you were given for free? You’re not alone. It turns out many of the leading domain hosts recognized a need for website design resources for their non-coder customers. You can get free website builders and a free domain with top-rated hosts, so you don’t have to be a CSS whiz or a PHP expert to create a beautiful website. All of the services listed in our domain hosting reviews include some form of drag-and-drop site builder to serve this purpose. Now, you should be off to secure your free domain with a trusted web host — factoring in length of registration, number of hosted domains and emails, and marketing and design perks. Meanwhile, I’ve realized it’s about time I secure an online presence for my rambunctious calico, Zumba! After all, who doesn’t love a ridiculous supply of crazy cat videos online?